Despite all the advances in telecommunications technology, the telephone still remains the backbone of all business communications. It is quick, easy to use and, as far as the user is concerned, requires no complicated equipment. However, while the function of the phone remains unchanged, the equipment that provides the service and the technologies available have combined to offer a business user services, facilities and cost options that were not available earlier. The phone is still used to carry voice, but what else it can do, the way it is carried and how calls are distributed has changed greatly. Most notably, value added features that companies enjoyed by bringing a PBX on site are now available to companies on a hosted model that does not require any on-premise hardware. The result has been a big win for smaller companies that would not normally be able to afford an on premise PBX, or may have opted for a minimally configured PBX with few features. 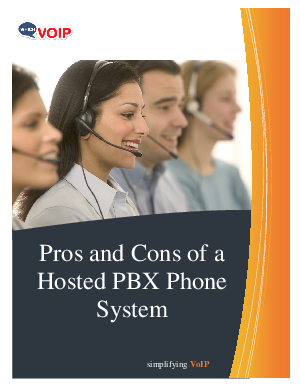 The hosted model gives smaller companies access to the full range of PBX features and functions, without the capital expense and administrative overhead.